Senator Johnny Ellis has been in the state Legislature for nearly 30 years, most of his adult life. In next week’s primary election, voters in Senate District J will choose his successor. Only Democrats are running for the seat that represents downtown Anchorage, Mountain View, and Airport Heights. Ellis decided to retire earlier this summer, saying that stepping down from public office after all this time is a bit surreal. Ellis is a cancer survivor and said he needs to focus on his health. However, he said he is primarily retiring because he feels it’s time for a change in his district. “You know there’s something to be said for experience and knowing the system, and also there’s something to be said for getting new ideas into the system,” Ellis said. He’s hoping the new ideas will come from his long-time friend Tom Begich, who will build on Ellis’ progressive legacy and leadership. For Begich, encouragement from Ellis is what made him jump into the race. “I would not have done this if he had thought I shouldn’t do it,” Begich said during an interview earlier this month. Begich grew up in Anchorage and is the brother of former U.S. Senator Mark Begich. He and Ellis became friends in the early 1980s when they were both working on political campaigns. Begich said he represents the same skills and ideologies as Ellis and would continue to rely on the senior statesman’s advice. But Begich said he would also bring something new to the Legislature: years working as a facilitator, a role that started at home. 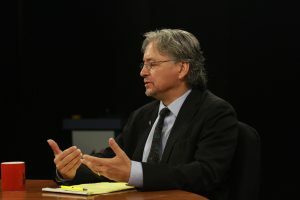 “I come from a family of very different political perspectives and political points of view, and often found myself even at home, at the dinner table, in a facilitating role,” Begich said. Begich has never held an elected public office. Neither has his opponent, Ed Wesley, though both have worked with community organizations around the municipality. 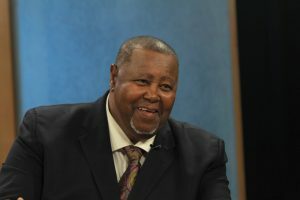 Wesley is a retired tax preparer and business owner. He grew up in Chicago in the 1960s and moved to Alaska with the military in the ’70s. Begich and Wesley have similar views on education and criminal justice reform but they differ on how to raise state revenues. Begich supports an income tax. Wesley favors a sales tax, with exemptions for food and medicine. Wesley said he thinks Ellis has his thumb on the scale in this race, and doesn’t think it’s appropriate. No matter who wins next Tuesday, Ellis said if asked, he’s happy to offer advice.